I went on vacation for a few days and Johnny Weir’s outfits are the only thing I missed in the sports world… Ok, that, and Spring Training, and a few gold medals. Anyway, back in the saddle… feels good. Been a long time (maybe the first time ever) that LobShots hasn’t had a post in six days. SIX DAYS! Thanks for hanging around. 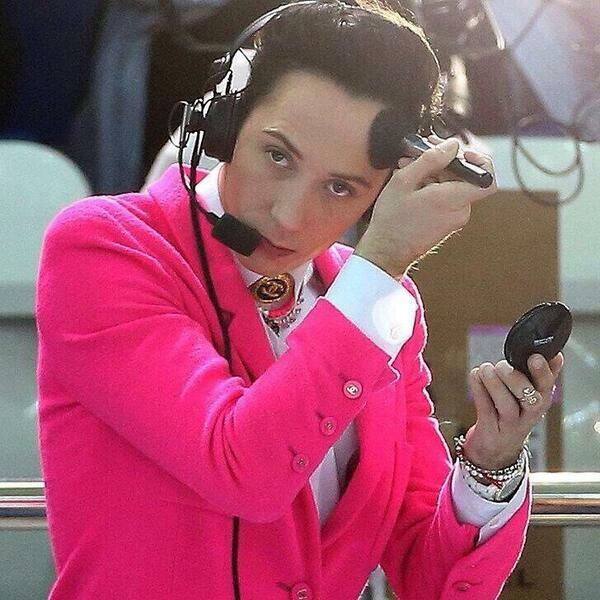 Also, I did a little research and confirmed that Johnny Weir is not Pee Wee Herman. This entry was posted in Olympics and tagged johnny weir. Bookmark the permalink.